It is not new if I say leaders are not made but are born. But, these days it is well known that every individual has a leadership quality in them. Depending on the situation everyone can express their ability. Few begin as early in schools to lead a team, while others exhibit the quality in their working environment. Therefore it is important to recognize this quality and appreciate them. Yes, appreciation is the best way to motivate every human. 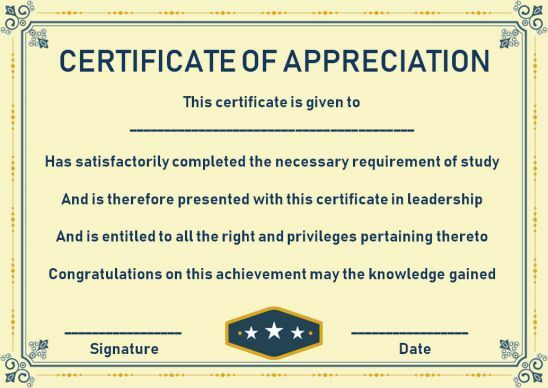 Especially, leaders or individual who express their leadership quality cannot be just appreciated with words but there needs to be a printed certificate given to them. It is an honor and pride to them. They can keep them as a memory forever. Now, we understand your concern about how to get one and what is the cost? 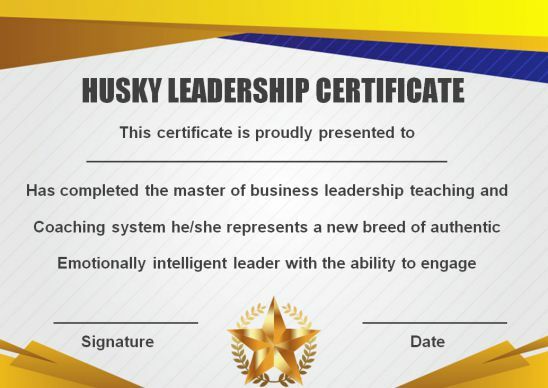 Don’t worry, you can get a leadership certificate with different wordings here. To your biggest surprise, you don’t have to pay a penny for using the certificates. You can download, edit, and make the real leader feel glad. 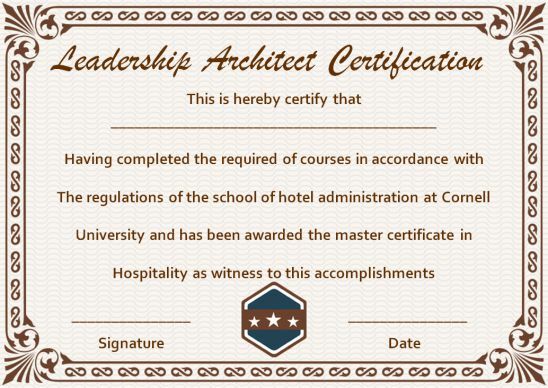 Every organization, schools, and all other community requires these certificates and hence before deviating let me give you details about the structure, components and the way to use leadership certificates. 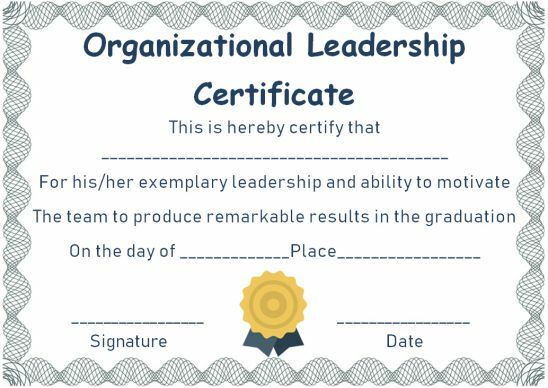 As mentioned earlier, a leadership certificate template is a ready-made certificate which you can use to recognize the leadership quality of an individual. This can be printed on a certificate paper for personal use. 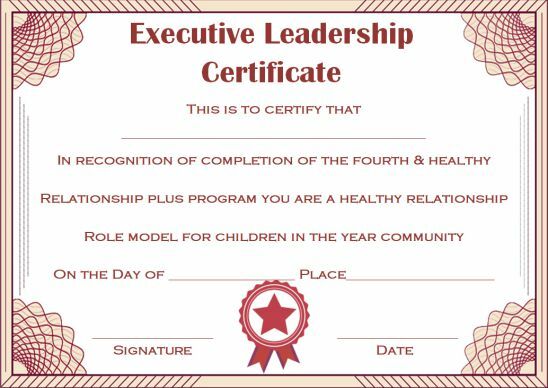 All you need to do it edit the certificate with the name, and other details to customize and then print it. 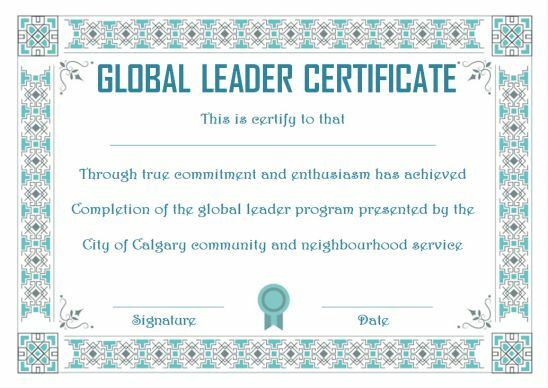 This certificate will make the life of a leader or a person who just expresses leadership ability. They can frame this hang on the wall to remind them of their ability and nurture the quality. 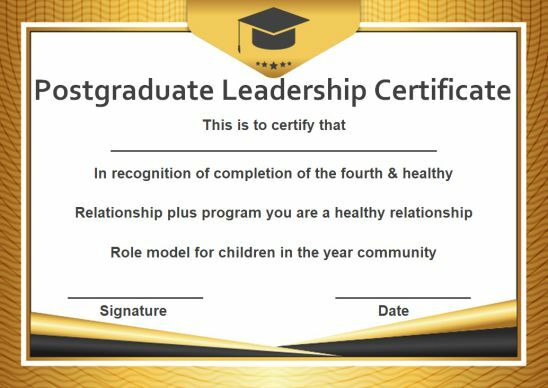 Let’s have a look at different types of Leadership Certificate Templates that are very much useful for rewarding any person showing their leadership qualities. 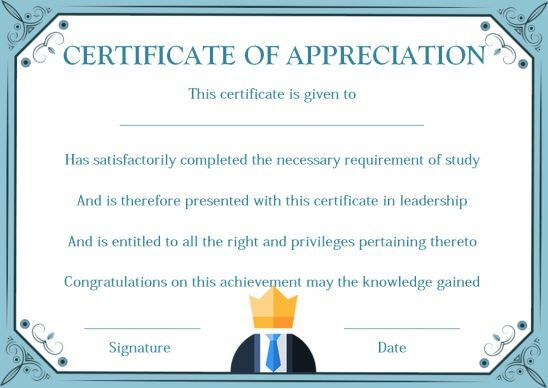 The certificate of appreciation is a must for students who exhibit the leadership quality. It is because these students must be identified and nurtured to become great leaders. 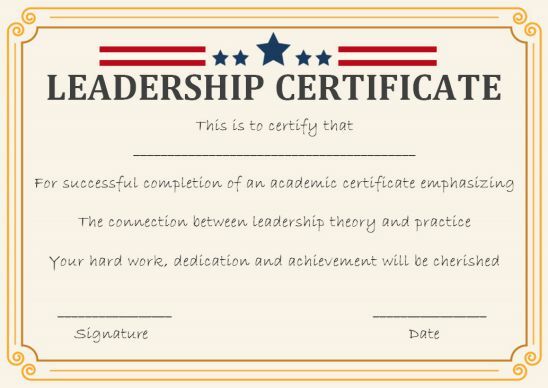 Therefore every simple gesture which as a teacher, correspondent or school authority you feel is a leadership quality, and then you must recognize that particular student with the certificate. This will help them identify their skill and will work on that. You as a school authority must help students with leadership ability to grow them. Provide all students with activities to understand their ability as a leader and identify the right one to let know them that they can become good leaders. Many times students do not know their own ability and hence elders must help them to identify. Next, comes the employees in your organization. 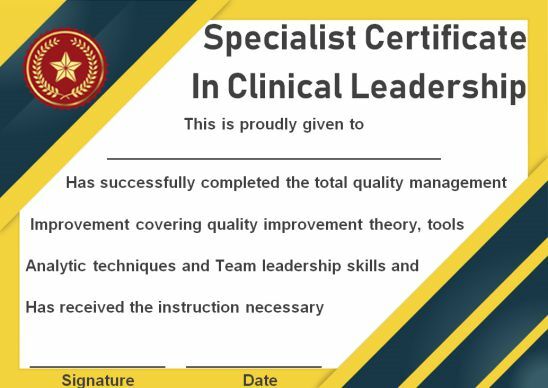 These people several times help the company to achieve success by leading the team with their own initiative Such individual must be congratulated with a certificate. Not only individual employees deserve accolades but the management as well. Many times the management support the employee to make important decisions. They boldly let them take part in several issues in society. 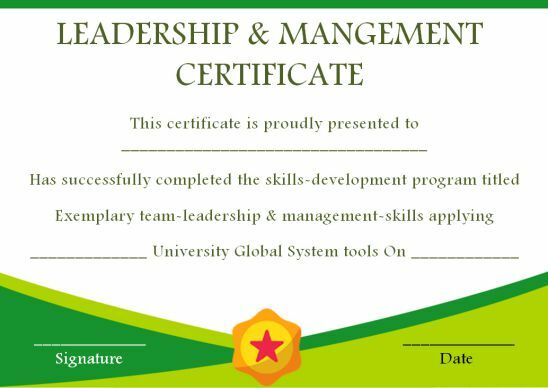 Such management also requires motivation in the name of the certificate. These people are the one who possesses real leadership quality and only when they are identified the employees can find a leader to follow. 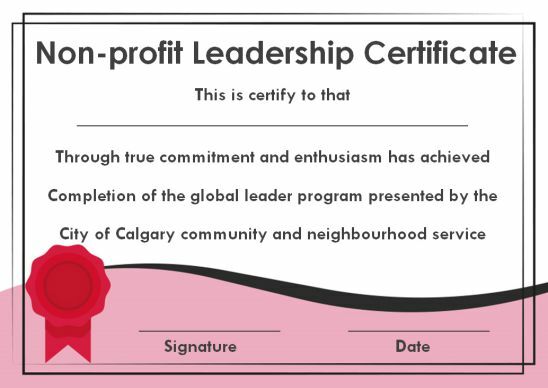 Individual who work for nonprofit organisations must be valued for their service. These people with their leadership skill handle many common issues. Such an individual will even risk their life when fighting for the rights of the nation. It could be providing support for the underprivileged society or for any basic rights. 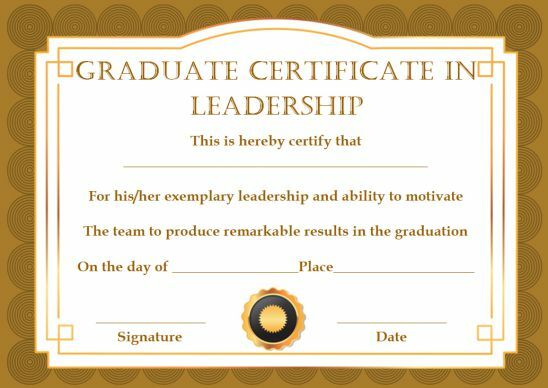 They must be respected and the only way to value their initiative is giving them leadership certificates. The team which works toward the well being of the others in healthcare really needs to be identified. For example, there are many health campaigns organized by the government for which volunteers come forward to help the initiative. Also, there are many which are voluntarily done by people. All these people must be esteemed with a leadership certificate. 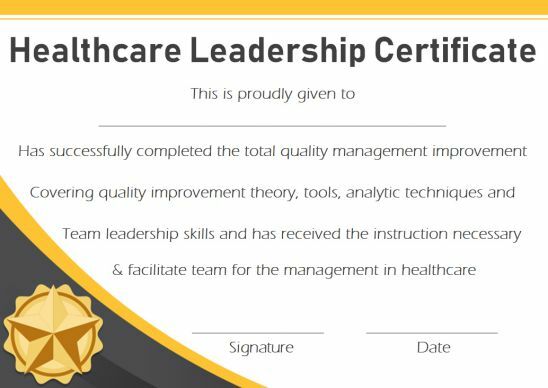 Apart from that, if you are a company planning to provide any healthcare management course to students in the field of medicine and pharma, then you must use these healthcare leadership certificates for the students who successfully complete the course. This course will train them to manage crisis during disasters and natural calamities. Church members require training to handle the church programs. Pastors must know how to deal with church development. The leadership program will address the need for training these people to make them church leaders. Church leaders must be trained with real skills to handle and train the individual. 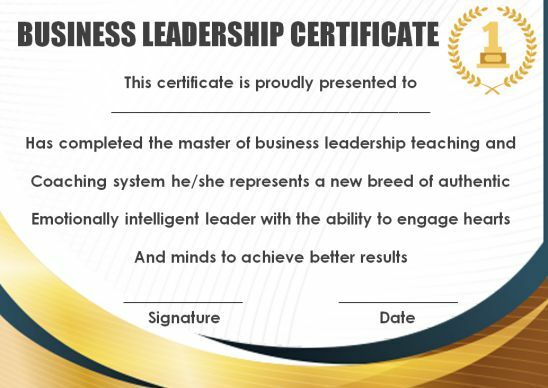 Therefore the leadership program must provide a certificate only to the qualifying pastors. The Baptist colleges offer these courses that are either a one-day eight-hour program or eight one hour course every Sunday. 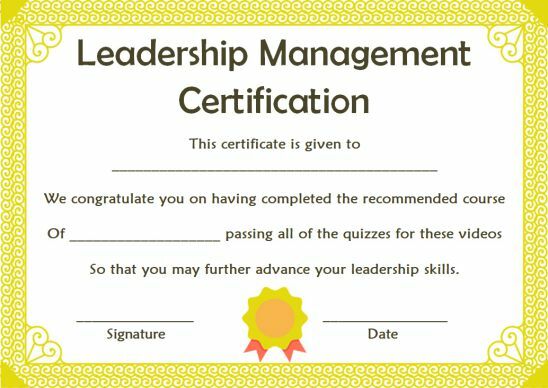 Upon completing the course a test is conducted by the church ministry and leadership certificates are issued. 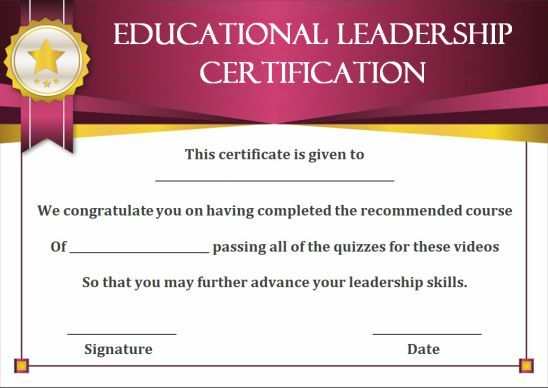 Use these certificate templates for free to train and identify right pastors who can mold the upcoming the students. Managing business and people needs leadership ability. Each individual has some amount of leadership excellence. But the same need to be trained in a phased manner to bring the quality to the light. Therefore every company must aim at offering leadership training to the people. You can identify a set of people from a different team who has exhibited some amount of leadership skill at the various situations. These people can be trained to make them handle all situations. 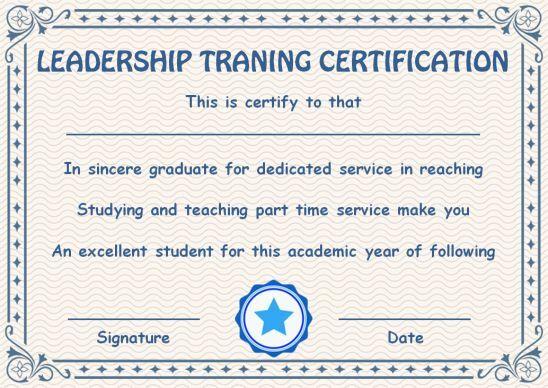 For providing such training you may require certificates at the end and use these certificates for free. 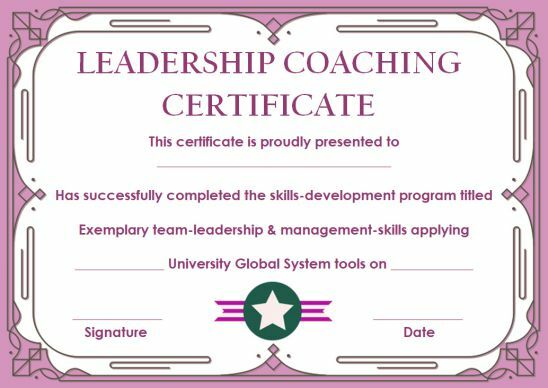 The basic look of a leadership quality certificate will not be different from any recognition certificate. It will contain a border design, title, name of the person who receives the award, the reason for receiving, and the signature of the person who awards. The date of issuing also can be mentioned. These are the elements present in the certificate and the structure will typically look as given in the image below. From the above image, it is evident that the components mentioned in the list under the heading elements are all present. Now, I would explain to you what needs to be included for each component. Further, in the section below I will also help you with sample sentences. You can get inspired from them to make your own wordings. And don’t fear copyrights; feel free to copy my wordings as well. Beware! Only allowed to copy the sample wordings and not my entire content though. Come, let’s get back to serious business of understanding what needs to be included in each element. 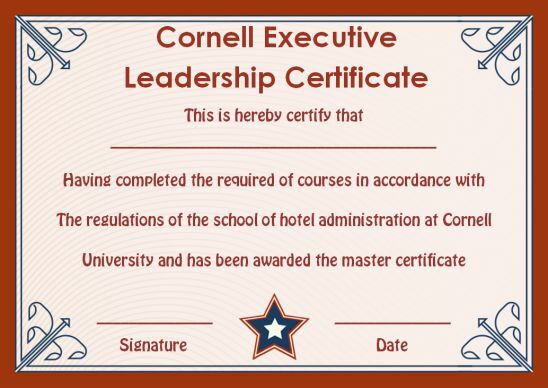 Title – The heading for the certificate with or without an image. If you refer above you can see the title as leadership award and a crown symbol. The symbol is optional you can even add your company logo. 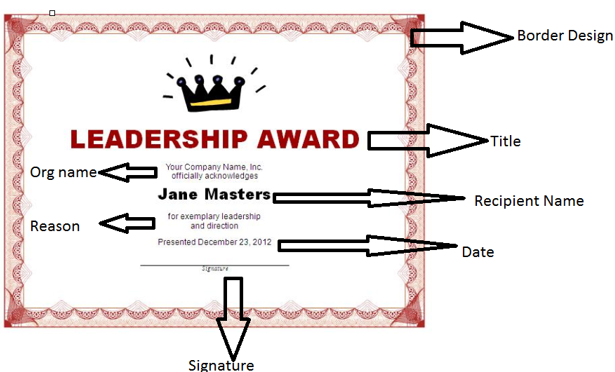 The title can be generic as mentioned above or specific like Leadership Award for __________ give the reason. Name – Give the name of the person who deserves the award. Remember let it not be all capital. But make it bold and legible. Start the name with a capital letter followed by running letters. Make sure you mention the initial. 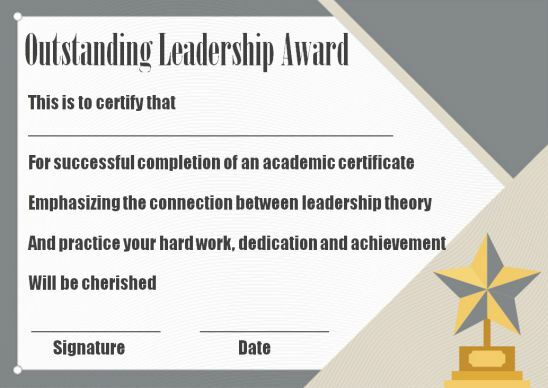 Wordings – Here is the important part where you need to give the reason for the award and also add some motivational wordings. I will deal with this separately in the below section. 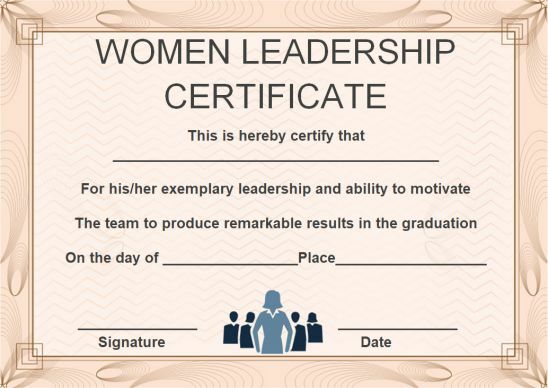 Now, just refer the image to know that this section is a must to let know the recipient the purpose of awarding the certificate. Date – The date on which the recognition award is given. Signature – Signature(s) of the senior officials in the organization who join hands to give out the certificate for the recognized individual. The sample wording for your perusal. I will categorize the wordings into 10 topics. Here I am giving you example wording for each topic. Wondering how the topics are framed? The top ten qualities possessed by great leaders. The individual whom you want to certify might possess one or more of these qualities. Certainly, we cannot find one with all these but it is good to appreciate the quality, in the beginning, to let them feel proud. Confidence – Confident Leaders can make many more leaders with their confidence. Appreciating you for your confidence. Consistency and patience – Your consistency and perseverance had the led the team to success. You deserve this award. Expression of ideas – The ideas which you expressed turned around this project to success. Happy Leading The Team with your Ideas. Honesty – The daringness to be honest at all time in managing the team requires recognition and good luck to become a great leader. Independent – Not depending is independence and you always made others depend on you to execute things. Hats off to you. Innovation – Thinking new had made your team march forward. Best Wishes. Managing Crisis – You are the perfect person to handle any crisis. The team loves your leadership. Motivation – The constant motivation by you made the team reach the top. Aim to become a great leader. Reliability – We can rely on you 24/7 for the project delivery. 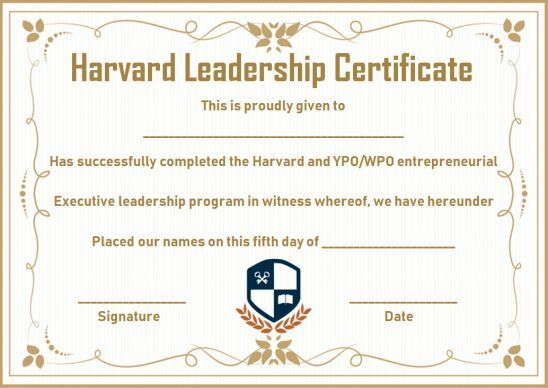 We recognize you as the future leader for the company. Responsibility – The ability you have to teach everyone in the team to own responsibility is the key to our success. We look forward to your continued leadership ability to make us grow with you. 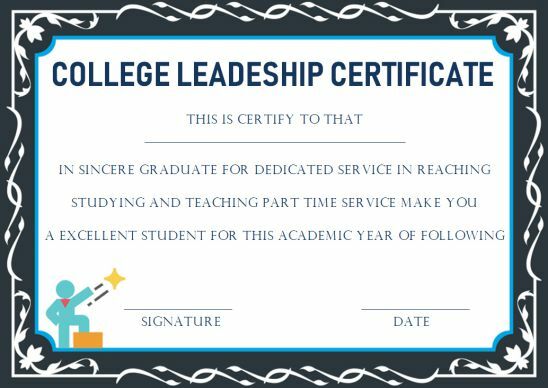 It’s time to learn the right way to create a leadership certificate on your own. Yes, these steps will help you not only create a certificate but edit the certificates from our site. You need to download the certificate from our page to your PC. Then open the template to click on each component to edit them. 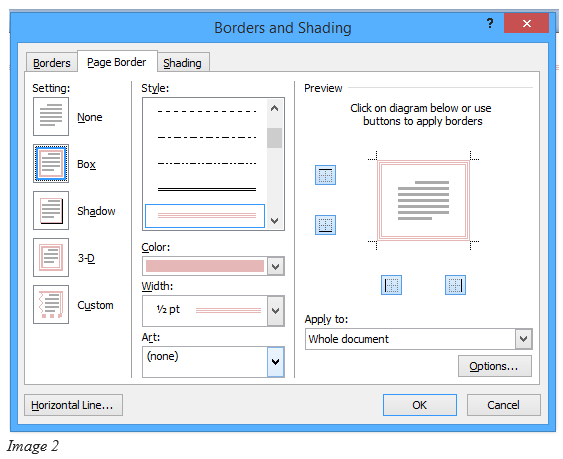 Follow these detailed steps to know how to create a template using the word document. You can do this without inserting any in-built template. I will let you know how to make one from the scratch within no time. Open MS Word and get a new file. Save that with a file name and then begin so that your work won’t get lost. Border Design We shall begin with the border for the certificate. You will find this in MS word under the heading Page Borders. It might be under Page Layout, or Design depending on the version of the word. Once you click that you can find the details as given in the image. Here you can choose the border style. color, width, art and look at the preview on the right side. Apply to the whole document or part by using the drop-down below the preview and click ok. You will see the border appearing on your new document. Now, you’re ready to go with the title. The remaining work is not difficult if you know the basics of the word. Yes, you can click on the screen inside the border to type the title, name, wordings, date and signature one below the other. Make sure to use a different font, size and bold, italics to make the content look visible. You can opt for different colors also. Refer the first image for the structure and get going. I do not intend to beat around the bush as I have given enough details about the components and why to include etc. After making all things appear on your certificate save them Ctrl +S. It is not ready for a print. Click on the print option and make selections following the instructions to take a print of the certificate in the paper you prefer. 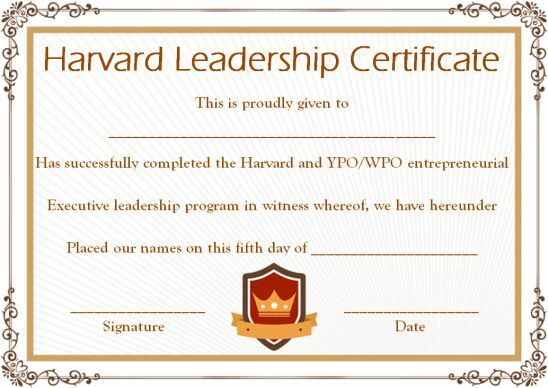 Create leaders with well structured training program is the first step to help the community. We would like to contribute to this imitative and hence offering free certificate which you can give to the skilled individual. Finally, we would wish you good luck in identifying and recognizing the right individual as leaders.